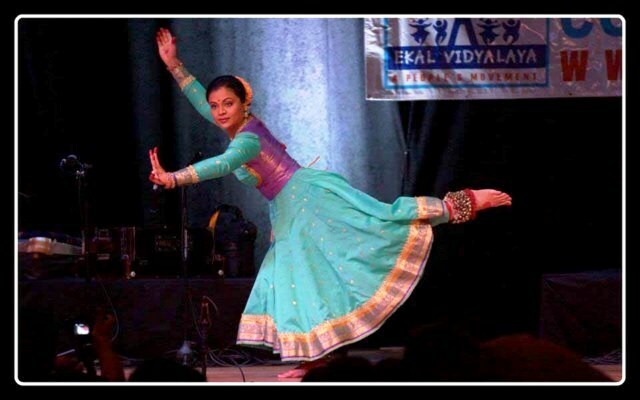 Aditi Bhagawat’s group had given some successful dance and music programs at the following cities of USA; 2 concerts in Jacksonville, one in Tampa and one in Orlando. The partners were local Gujarat Samaj, Florida Association of Physicians of India (FPAI) and India Cultural Center and Punjabi Association. The well choreographed dance programs received the maximum appreciation for the artistes’ agility, grace and energy. 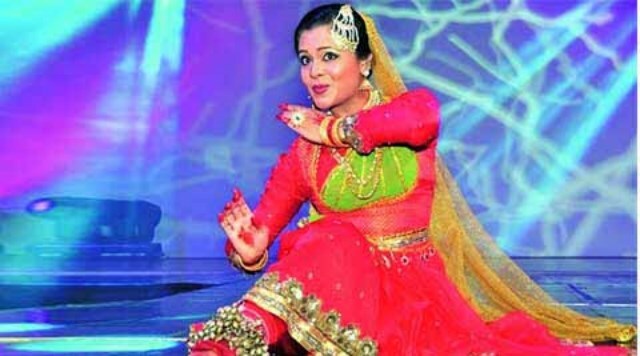 The Jugalbandi and Kathak program followed was also liked by everyone. Aditi Bhagwat spoke about the yeomen services of Ekal to the audience quoting experiences from her visit to Ekal in India. It was felt that future programs should be carried out with the support of the local organizations collecting more school children and present Ekal’s activities with precise and captivating speeches. “It’s with the support of the audience, that the artist reaches his or her pinnacle of success. Hence every artist, I feel, has a moral and social obligation and duty to give back to the society, the love and support that the society give artist. My venture with Ekal Vidyalay gives me such a sense of fulfillment. Ekal Sansthan gave a fitting tribute to the magnanimous movement of Ekal Vidyalaya in India by organizing a seminar on ‘Dynamics of Development in Rural & Tribal Bharat’, on February 22, 2014, at PHD Chamber of Commerce, New Delhi. Ekal Sansthan’s, mission is to bring forward the ideas, which can change the landscape of rural and tribal development in India. The seminar was a part of the efforts of Ekal Sansthan to enlighten people about the success story of 25 years of Ekal Vidyalaya Movement that has its presence in nearly 60,000 villages across India. In his Inaugural address, the Key Speaker Dr. Subramanian Swami, a well-known political activist, and an anti-corruption crusader reminded about the huge reservoir of richness in India, lying in forest and villages, yet to be explored and utilized. The other dignitaries on the dais were Dr P.L. Chaturvedi, Chairman, Ekal Sansthan Trust Board and former Vice Chancellor, Ajmer University, Dr. Kailash Nath Gupta, former Professor, IIT Delhi, and presently President of Ekal Sansthan, Sri Ramesh Shah, Global Chairman of Ekal Foundation, U.S.A., and Sri Ashok Bhagat, Founder and mentor of Vikas Bhart, Bishnupur, Sri Laxmi Narain Goel, Essel Group and Ma. Shyam Gupt, Founder Member, Ekal Abhiyan. Ma Shyam Gupt expressed his tremendous faith and self-confidence at the grassroots. 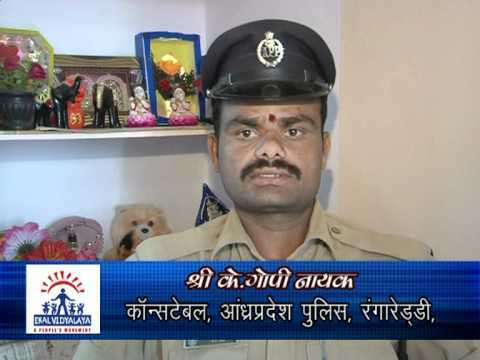 He said Ekal is for “Dharti Ki Takat Jagayenge, Bharat ko Sukhi Banayenge”. Sri Laxmi Narain Goel, Founder trustee of Bharat Lok Shiksha Parishad, proposed the vote of thanks. Dr. Sushila Madan conducted the inaugural session. The most important event was the release of the book ‘Bharat That is India”, written and edited by Sri. Mallikarjun Iytha and Ms Tanu Jain. The book intends to bring forward the stories of some of the exemplary models at grassroots in rural and tribal Bharat. This book also brings forward the story of Ekal Movement and 25 years of its historic journey and different models being used for its success. Sri Ashok Bhagat, Founder and Mentor of Vikas Bharti, Bishunpur, Jharkhand gave many examples of social changes in Jharkhand tribal villages by various innovative efforts conceived by Vikas Bharti. He is also an example of a true Gandhian. Dr. Ashwani Mahajan, an academician by profession, and serving as Associate Professor with Delhi University emphasized the national pride of being swadeshi instead of depending on foreign aids and perquisites. Dr. Kamal Taori (IAS Retd. ), a former member of Planning Commission with 35 years of vast experience spoke about his many experiments. He engaged the whole audience and gave many formulae for how we can develop grant-less concepts for self-employment by enhancing productivity and by applying eco-friendly ways and means. 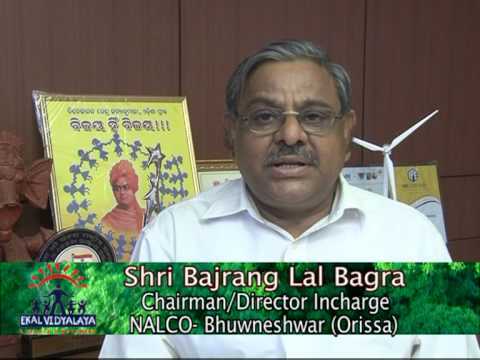 Sri Bajrang Lal Bagra, Global Coordinator, Ekal moderated the session. The session on ‘The Pillars of Ekal Movement’ highlighted the Ekal Model for Social Change. Shikshit Bharat: Sri. Sriniwas Panda, one of the key brains behind Ekal Schools, gave his presentation on “Prathmic Shiksha” for tribal/rural children. Capacity Building and Value: Sri K.E.N. Raghvan, and expert in the field, gave an effective presentation on integrated training program and its holistic impact of functional education in Ekal villages. 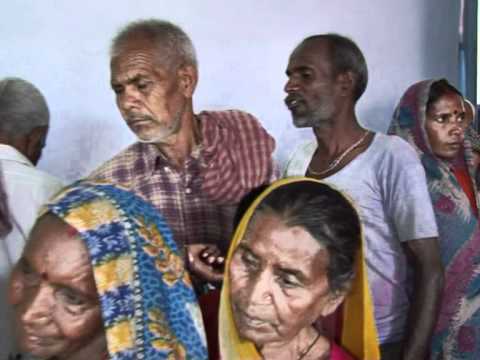 Arogya Education: Ekal grew systematically and Health Care Education was added to Ekal Scheme. Dr. T.N. Satpathy made a comprehensive power point presentation focusing on Ekal’s efforts for eradication of anemia, child and mother care. Sanskar- Ethics and Value Education: Dr. Surya Prakash Sharma spoke on Ethics and Value Based Education; an integral part of Ekal’s education programs. Village development and empowerment: Sri Lalan Sharma, spoke about the unlimited potential of growth in villages by mobilizing huge natural resources. To conclude the session, Sri Madhwendra Singh, Kendryia Abhiyan Pramukh, explained the successful implementation of the components of Ekal’s vision and planning, and how each component is synchronized meticulously with others. These pillars of Ekal Movement were honored with shawls as mark of respect for their dedication and compassionate commitment for serving the country. ‘Role of Good Governance and Social Partnership’ was the next session. Dr. Manisha Priyam, an academician, economist, and a political analyst of national repute, quoted the example of Bihar where the education ratio of girls improved once the government took interest in the implementation of the schemes. Dr. Pawan Kumar Sharma (IAS) gave heart touching examples of Tribal’s life in M.P. and the help was given to them by officials to improve their living standards by understanding and addressing their problems. Dr. Rajesh Sinha (UNDP) narrated his experiences about the social impact studies and their outcome especially related to PRIs. Smt Rama Popli, a core member of Ekal Abhiyan since its inception, revived vivid memories of initial efforts in Jharkhand tribal villages, when Ekal was emerging. She also spoke about the vision of late Dr.Rakesh Popli, an architect of the ‘One Teacher One School.’ Sri Mallikarjuna Jythe was the moderator. On the inaugural day of the celebrations there was a music program by Sri. Surojit Guha. On the closing day there was a tribute to the Indian Army ‘Sare Jahan Se Achcha’ based on patriotic songs. The program was attended by more than a thousand people at the Devi Ahaliya University Auditorium. This program was also dedicated to Nyaymurthi Sri Ramkrishna Vijayvargeya. Impressed with the work of FTS for the tribal children, philanthropists announced to donate for 203 schools, out of which 100 schools were donated by Smt. Kanta Devi Agrawal. The program was well organized by Sri Sanjay Patil. Martyrs Flight Lieutenant Vipin Agrawal and Martyr Lance Naik Sudhakar Singh’s family was specially invited for this program and honored. Lance Naik Sudhakar Singh was one of two jawans killed by Pakistani troops near the Line of Control in Kashmir. His wife Durga Singh was handed over Rs. 286,000 which included the contribution of FTS also. Khandva Anchals Mahila Samithi members Smt. Anitha Chouhan, Dr. Sandhya, Smt Ujvala Munde and others celebrated Makara Sankranti under the guidance of Smt. Manju Didi. 600 saris were gifted to the teachers and full time workers of Ekal with the support of EVFI. Rangoli and Mehandi competitions held. During the event, the importance of Ekal Vidyalaya, success of schools, teachers role in education, importance of gram samiti, self sufficiency were discussed. Mahila Samithi Indore Chapter celebrated Basant Utsav on February 6th 2014. Sewing machines and lamps were donated by Lions Redam Club to Ekal Villages. The Indore Mahila Chapter collected Rs 1.75 lakhs during Sankaranthi Sangrah and Rs 1 lakh from All India Maheswari Mahila Sangatan. Full time workers of the Mahila Samithi were honored with shawl in a function presided by Sri. Shyam Gupta; the program was conducted by Secretary Smt. 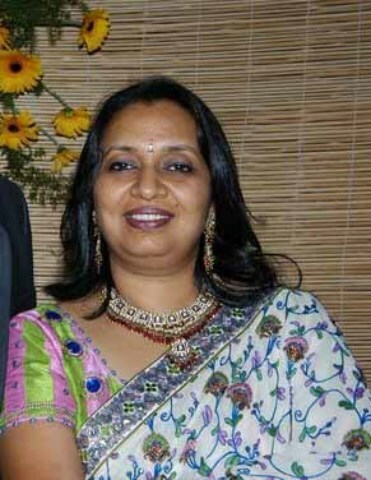 Kiran Agarwal. There were about 200 participants. In memory of Swami Vivekanandji’s 150th Jayanti Mahotsav, a lecture based on ‘Influence of Swami Vivekanandji’s thought in our life’ was arranged on 09 Feb 2014 at Kalidas Kala Mandir, Shalimar, Nashik which was followed by a Rath Yatra in Nashik city. The lecture was given by well known speaker Sri. Swami Budhanandji, a great follower of Swami Vivekanandji & presently associated with Ramkrishna Math, Pune. The idea behind organizing this lecture was to ignite the feeling of gratitude, humanity, co-operation, etc. in the minds of the common masses which will indirectly help in building up the nation towards Unity. This time Nashik Chapter took a marvelous initiative by inviting all the Acharyas & full time Karyakartas for the event. The route covered the heart line of the city and covered most of the places. The credit for making this event a grand success should go to the managing committee and all the Mahila Samiti and other members. 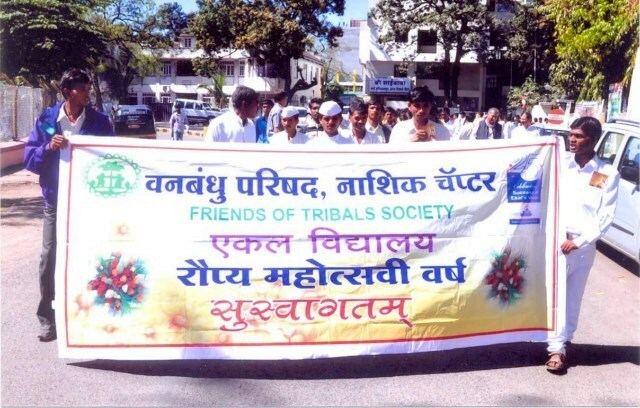 At the very on-set, let me say that I am very proud to be associated with Friends of Tribals Society. We had always been associated with Ekal Vidyalaya when we were in Assam. In 1990, we shifted to Bangalore. In November 2011, on the insistence of Manju Didi, I had the proud privilege of being the President and inaugurating the first Mahila Chapter in India. Henceforth, with my able committee members, we are trying to excel in our work. At present we are about 120 members and are taking care of the Mysore Anchal in Karnataka with 300 schools. I have been and will always be an ardent supporter of the movement. Dr. Hashmukh and his wife Jyotsana visited Coimbatore and hosted by Dr. Satheesh. Satheesh had introduced them to Sri. Kamal Shah and Smt. Bina Shah from Kutch settled in Coimbatore since long and also one of the main donors of Ekal Vidyalaya. Later, they had interactions with Sri. 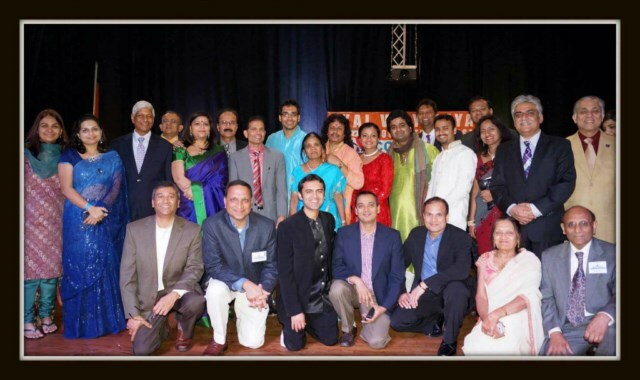 Shrigopal, President of FTS, Coimbatore and with other members of FTS. They discussed on the strategies for raising funds; one being those who donate generously could be encouraged by providing frequent interactions through interesting ‘vanyatras’ to see the schools. It was also deliberated on the need to train school children in some skills apart from formal education. A trip to Gudalur - Ettimoola Village Ekal School via Ooty was a trip of joy. Sri. N Balraj, Anchal Pramukh, teachers and school children, and parents were met. After this, Hashmukh family travelled to Ekal School in Kodaikanal with the help of Tamilnadu SVO President Sri. Ramesh. Sri.Hashmukh was very appreciative of the efforts of Ekal, its office bearers and volunteers. 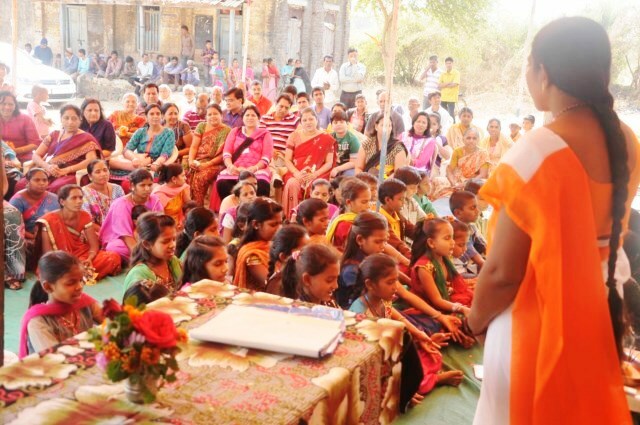 He observed the interest of the tribal children to get educated and their difficulties in achieving their interests. He emphasized the need for promoting a Bharat of Vivekananda’s dream through the benevolence of the donors of India and abroad. On Feb 23, 2014 Smt Renu Gupta (President, Ekal USA), her husband Sri Arun Gupta and 3 other members, accompanied by Lok Siksha Parashad’s Sri Rakesh Khanna and Sri Yudhvir Maini visited Ekal Vidyalaya located a village Galo Wali in Majeethaa Tehseel district, about 45 kilometers from Amritsar. Smt Renu Gupta shares her impressions with us. a. Schools run under open sky in the natural ambiance and in the Chowpaal. The whole trip was very memorable and inspiring. b. The villages of Punjab show prosperity, greenery and cleanliness. c. Punjab has currently 1500+ Ekal Vidyalayas on border areas, covering Amritsar, Firezepur, Fazilka, Pathankot and Fareedkot districts. d. Ekal schools have helped our border villages to stay away from terrorist activities, retain their culture and traditions. e. Students in Ekal Vidyalayas are better off than other schools we have visited; they have shoes, school bags, better clothing and supplies. f. We were very impressed with the discipline and strong Sanskaar and teaching method. Most of the teaching is done by songs, like math, general knowledge, hygiene ideas, and heritage. Almost all children memorized several songs and they know how to sing also. g. Whole village takes pride of their school, they want their child to get best of the education and go for higher education. h. We met many village girls who were Ekal students and now are either Ekal teacher or Aarogya Sewika. My profession has taken me around to the remotest villages with a chance to observe rural life. I am in contact also with a few set-ups that work at the village level and am pretty familiar with their various projects as well as the ways they adopt and the mentality of their volunteers. ‘Ekal’, however, stood out among them for its unique concept. Thus, we the trio, the renowned danseuse Aditi Bhagwat, Shri Anil Mansinghka and me set out to Ranghar near Nashik with great expectations. Our journey was a class of sorts, with Anilji enlightening us about the innovation that is ‘Ekal’ - the concept – its aim, its policies, its actual work and the positivity it brought about in rural India. In Nashik, Yashwant, the Regional In-Charge greeted us. Yashwant oversees as many as 270 Ekal VIdyalayas, a social worker to the core! Of course, later we encountered the same fiery sense of duty in every Karyakarata working under him. We got down at the foot of the hillock that was Ranghar. A grand welcome was waiting in the wings for us – a moving orchestra was descending down the slopes, hailing us, singing joyous songs and bhajans-kirtans to the accompaniment of their drums and strings. The elderly ladies among them did ‘Aarti’ and garlanded us. Each and every one, including children shyly peeking out came forth and introduced themselves. 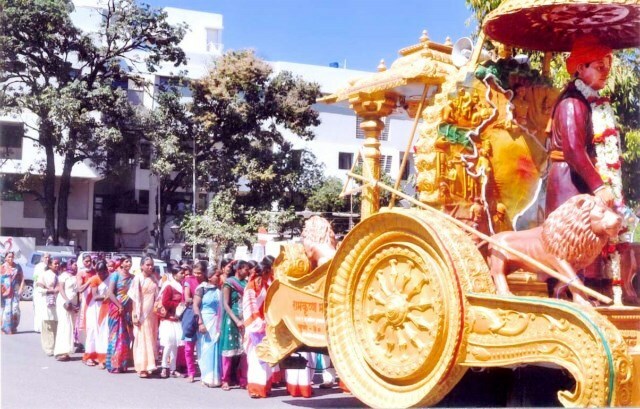 The local ‘Satsang’ groups presented devotional songs and the children cutely presented a ballet on the theme of good triumphing over evil – displaying the very concept of ‘Ekal’- to eradicate the wrong from the social fabric. The grand welcome ceremony was followed by an equally hearty and tasty meal – served on big tree leaves the way it is eaten around rural India. Scented with the earthy tang, the food was gobbled fast but the taste lingered long with the unforgettable chilly-chutney, the local specialty. Indu, the teacher at the school (Ekal Vidyalaya), displayed the innovative teaching methods and the progress made by the children in different subjects. Here is how a school goes all the way to the pupils when pupils cannot traverse the gap! The kids are taught at least the basics of education. We were deeply touched by this example of grit set by ‘Ekal’, where focused volunteers and workers slog untiringly, completely uncaring of the success or failure of their efforts. What they singularly see is the aim of Ekal, the means to inch forward and the all-encompassing warmth and affection that naturally radiates from their mission. These are the bonds they have entwined us, me and Aditi, with – the unforgettable bonds! On 16 February, FTS, Bhopal arranged for a Vanayatra covering Ekal Vidyalayas in villages Kapra and Kachar. The forest was dense and when they reached the villages the tribal groups received them with honor and smile. Chapter President Sri. Sanjeev Agarwal and Secretary Sri Ajay Kumar had a meeting with the village samithi and also villagers. The interaction and question answer sessions with the school children demonstrated the committed work of the Ekal and the interest of the tribal children. About 40 members participated in the yatra. On 23 Feb 2014, for Ekal Abhiyans Town and village society coordinated a one day Vanyatra by Surat Chapter to Gujrat’s Vyara Anchal. The administration of the complete program was taken care of by Sri. 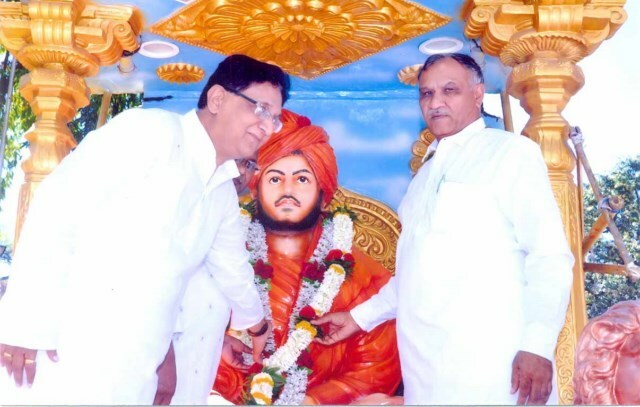 Brijmohan Agrawal, Sri Mahesh Kumar and Sri Ramesh Agrawal. Of the 38 participants, this was the first time for 29 people. The group had to walk through the narrow footpath between the green fields to reach the Ekal Vidyalay in Patigram and later in Gandivara. As usual, the children impressed the visitors with their traditional behavior with respect and intelligent interactions. 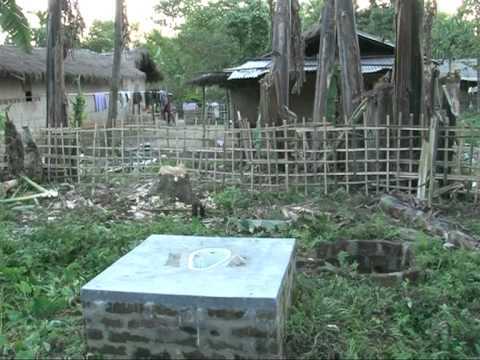 Food and other facilities have been provided by the villagers. As reported by Rajkumar Agrawal, Sangatan Mantri – FTS.